Established just this year, the Office of Immigration and Refugee Affairs in Minneapolis has hired a director for their office, immigration attorney Michelle Rivero. The office was created to accommodate an increasing need for social and legal services for immigrants in the Twin Cities, providing full-time advocacy to more effectively support these constituents. Rivero’s role as director will include developing new programs for immigrants, as well as promoting education around immigration policies, rights and existing services. “Minneapolis has wisely made the decision to follow the footsteps of other cities such as New York City, Chicago and Seattle, recognizing that we’re stronger when we’re welcoming our immigrant communities,” said Rivero. Read a full interview with Rivero at MinnPost. Asian American organizers in the Twin Cities launched a new coalition project called Ignite Minnesota Asian Power (IMAP) in order to activate voter participation in Asian American communities across Minnesota. IMAP attended cultural events around St. Paul and Minneapolis on July 14-15 to provide voter education and resources, ultimately hoping to close the voting gap and turn out 10,000 Asian voters each year through 2020. IMAP is comprised of Asian American Organizing Project and CAPI-USA. Find out more at Asian American Press. 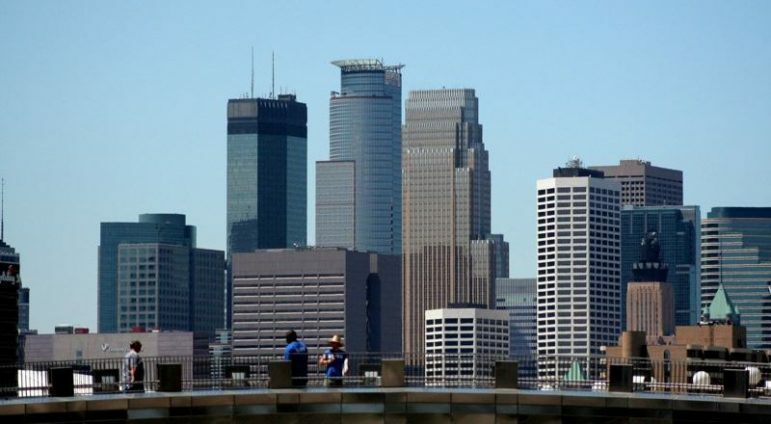 The City of Minneapolis recently released a new housing plan for 2040 in hopes of finding solutions to accommodate a growing population. The plan makes specific attempts to address issues of affordable housing, gentrification and racial inequality in its design ideas, including expanding homeownership and minimizing displacement. Though the city has implemented public housing initiatives in the past, increased rents and decreased renters’ wages have made affordable housing more difficult to procure in recent years, especially for people of color. “We can put our head in the sand and say we don’t want change, but it will happen anyway,” Planning Manager Jack Byers told residents last May at the Black Forest Inn. Find more details on the plan at Downtown Journal as well as at Minneapolis 2040. In this video, created by South High VOICES students Keeler Gonzalez, Lindsey Morris and Marie Berlovitz, local voting rights advocates discuss how ex-offender disenfranchisement makes it more difficult for felons to rehabilitate and reintegrate into community, and how the practice also disproportionately affects people of color. VIDEO: "My country, rich people in government have power"